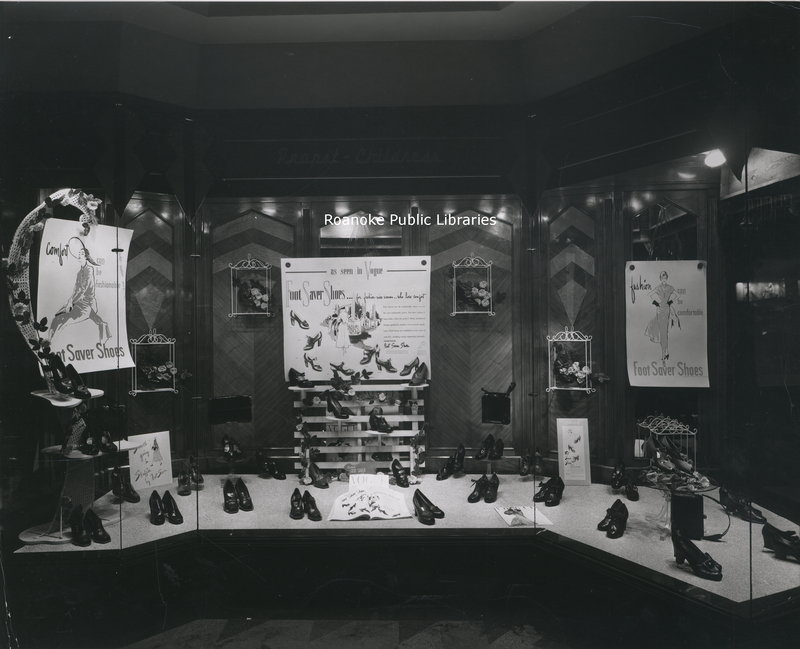 Propst-Childress Shoe Company window display. Store was located at 306 S. Jefferston Street. Please contact the Virginia Room at 540.853.2073 for permission to use. Parker Studio, “PS 71.0 Propst-Childress,” Virginia Room Digital Collection, accessed April 19, 2019, http://www.virginiaroom.org/digital/document/PS71.0.